This 14ft Paul Gartside-designed Skylark traditional clinker-built dinghy made by Boat Building Academy student Jim Higginson with help from fellow students Paddy Uniacke and Mark Bestford is planked in slow-grown Douglas fir, which was also used to construct its birdsmouth-style mast. A similar 12ft Gartside-designed dinghy built by an earlier student caught Jim’s eye on a visit to the academy, and chose to build the boat partly for its looks and partly because of the range of skills it required to build. The boat is named Amethyst – the moniker was chosen by Jim’s grandfather, who kindly paid for the materials and got to take her out with Jim on board on student launch day. 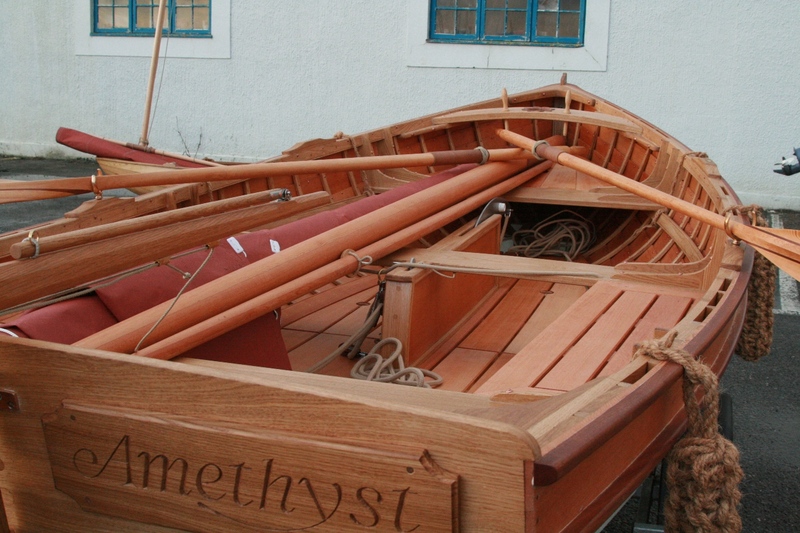 See a photo log of the build of Amethyst here. 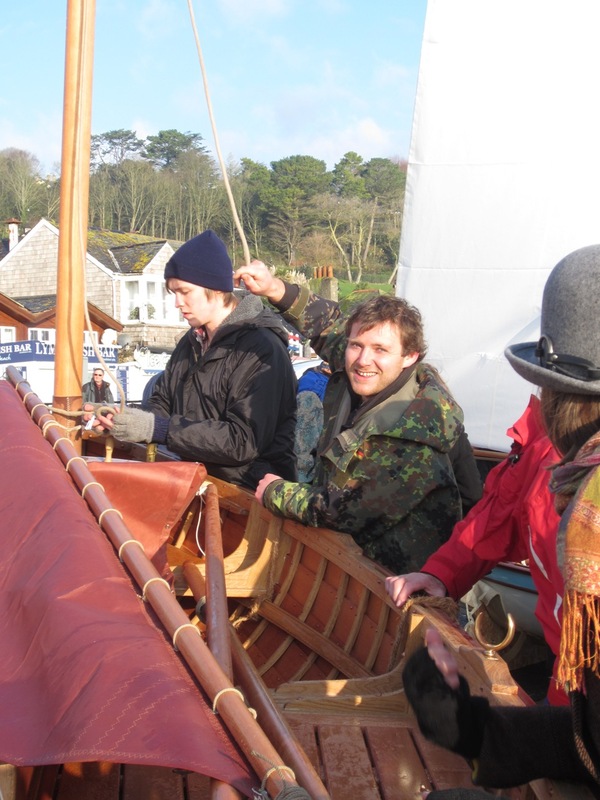 Paddy successfully graduated as a seckhand on a Tallships Youth Trust voyage in 2007 and has since spent time working in Australia and New Zealand – one of his many and varied jobs included a stint at Freshwater Bay Shipwrights in Perth. Like a couple of others in the same student cohort, Paddy left the BBA with a job lined up in a yard at Ipswich, working on the restoration of a Dragon. A keen traveller, Paddy eventually aims to take his skills to Canada and find boat building employment there. Mark returned to England two years ago after serving in the Merchant Navy followed by 22 years in the Royal Navy. On leaving the Navy, Mark worked in various roles including yacht skipper, sailing instructor and private charter skipper. He’s now setting up a business at Chesterfield, Derbyshire, that will offer offer boat management, and mobile maintenance, repairs, and support services for private owners and marine businesses covering the inland waterways, reservoirs and coastal areas of the UK. As he says, there are many boat owners who do not have the time or facilities, or are physically unable to maintain their boats through the seasons, and the new company’s aim is effrectively to bring the boatyard to the customer’s boat. 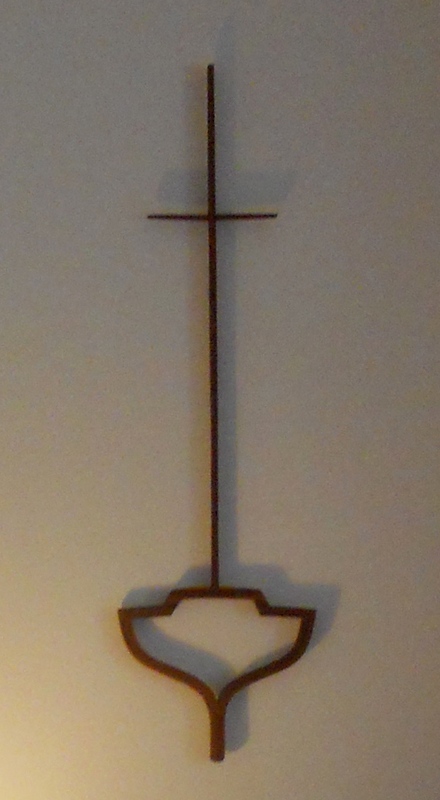 To be called Boatwork, the business is also to have an artistic dimension, creating wall art made from reclaimed wood, including what he calls ‘Boathearts’ – elegant boat cross sections designed for use as wall decorations or sailing trophies, and made from offcuts left over following boat building work. In addition, Mark is supporting a British Mini 6.50 Transat campaign, and has a website at www.boatwork.co.uk.